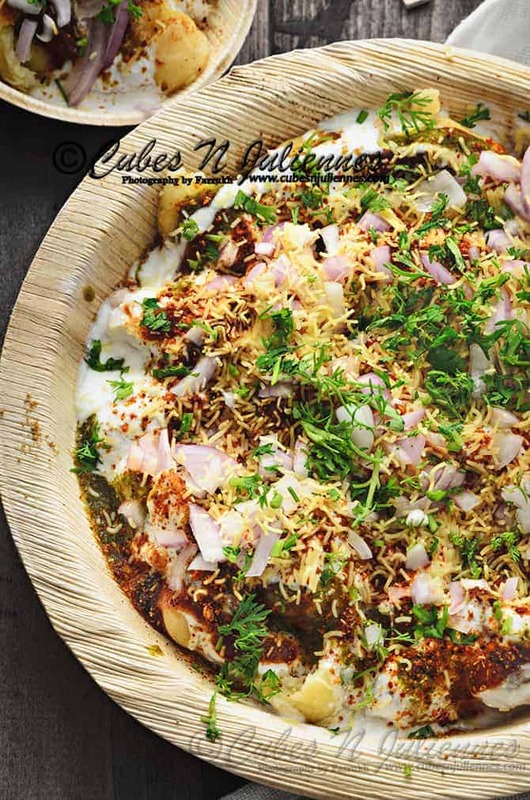 Dahi Pakodi Chaat is a tantalising street food/chaat of soft and spongy split green gram lentil fritter, chutneys and yogurt, adored by all the chaat lovers. Fried and soaked pakodis can be stored under refrigeration for 2-3 days. My refrigerator is always stocked with green mint chutney and seasonings are ready on the kitchen rack. 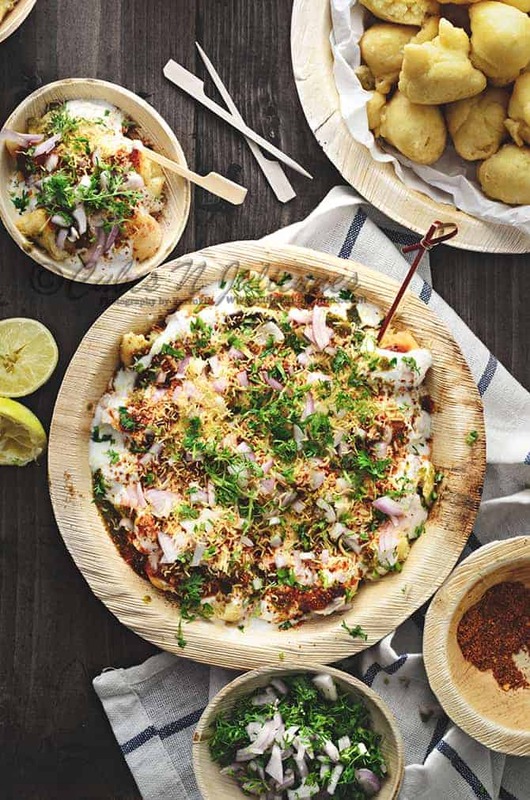 So whenever we have a craving for this yum dahi pakodi chaat, all needed is to muster them together and terrific Chaat Plate is ready for you to gobble any time of the day. 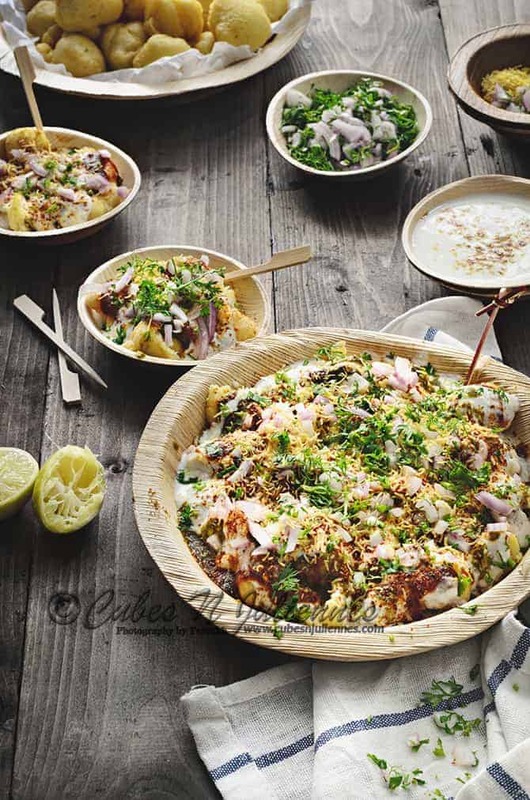 This wonderful dahi pakodi chaat makes an a stunning menu for any occasions, festivities, kitty parties and even potlucks. 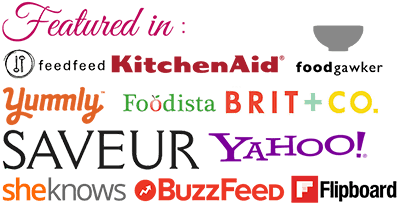 Let’s go through how we do it at home…. Drain the water and grind moong dal along with grated ginger, green chili and cumin seeds to smooth paste without using any water. Transfer it into the bowl , add soda and little salt. Whisk well to form batter of thick pouring consistency. Add few tablespoons of water if required. Do not add to much water at a time or else batter will be too thin. Once the oil is hot, carefully drop the spoonful of batter and deep fry on medium high heat until light golden and crisp. Drain on to absorbent paper and add the fried dumpling to warm water mixture. Allow it to soak for 45 minutes. After 45 minutes or at the time of serving, squeeze the pakodi (dumplings) to drain off the excess water. Add rock salt and little water( if yogurt is too thick) to the yogurt and mix well. Arrange the squeezed dumplings on the serving plate, slightly press them to crush it a bit. Sprinkle the required amount of lemon juice on the pakodis. Pour green chutney and tamarind chutney over it. Pour whisked yoghurt, sprinkle roasted cumin powder, chaat masala, red chili powder, chopped onions, fine sev and coriander leaves. Serve immediately. Confused hence asking this question- your recipe says GREEN gram dal (Dhuli moong dal) but in one of your comments you mentioned Dhuli moong is yellow dal. Which dal to use Green moong or yellow moong? May be a silly question. . but I need to ask.. dhuli moong is yellow moong dal? or is it halved green moong? Please reply ASAP I want to try it today or tomorrow. 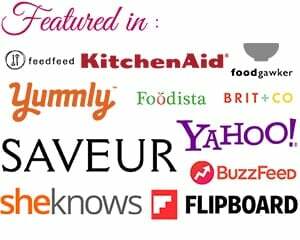 Hi Divya – dhuli moong is yellow moong dal.